Some girlfriends of mine threw me a very (very!) sweet baby shower, and it was during brunch. My favorite meal truly is breakfast, so I was delighted by this theme! 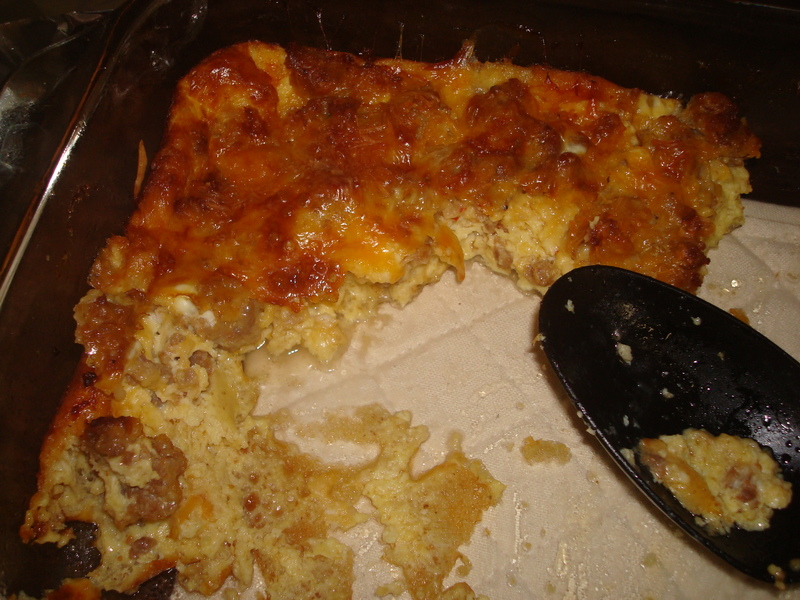 My gal Libby made a yummy breakfast casserole that was a) easy to make, b) better than any other breakfast casserole I’ve ever had, and c) had sausage. I’m sold. I wanted to share the recipe Libby gave me because I recently made it for a coworker’s birthday, and the office loved it! Layer bread in bottom of 9 x 13-inch well-greased pan. Sprinkle sausage over bread. Add cheese. Beat eggs and mix with remaining ingredients. Pour slowly over cheese. Place in refrigerator for 1 hour (can be made overnight, too). Remove and bake at 325 degrees for 45 minutes.